Carnival Fantasy which is completing a major dry dock is delayed returning to service. The ship is experiencing an issue with the maximum cruising speed. The Carnival Cruise Line operated ship is at the end of a two-week dry dock but unfortunately is experiencing an issue with its maximum cruising speed. The ship’s upgrade was scheduled to finish on January 20 and it’s unknown if the ship is just heading slower to its homeport or it is staying a little longer in dry dock so the problem can be resolved. As a result of the unexpected propulsion issue, Carnival Fantasy won’t be returning to its homeport in Mobile, Alabama until Monday evening. This means the 5-night January 21 sailing from the port will be delayed with the embarkation process not starting until the next day on January 22. Carnival Fantasy will now be operating an adjusted itinerary which will be for four nights departing on Tuesday. The originally scheduled call at Progreso, Mexico on January 23 will no longer take place and instead, the Carnival cruise ship will have an extended stay at Cozumel on January 24 as normal. Carnival Cruise Line is informing guests booked for the sailing to disregard previous arrival appointments and make plans to arrive at the cruise terminal on Tuesday between 10:30 AM and 1:00 PM for embarkation. Carnival will also fully refund any guests who want to cancel their cruise vacation. It is surprising that the ship has suffered this issue especially after completing a dry dock operation where many technical aspects are looked at. 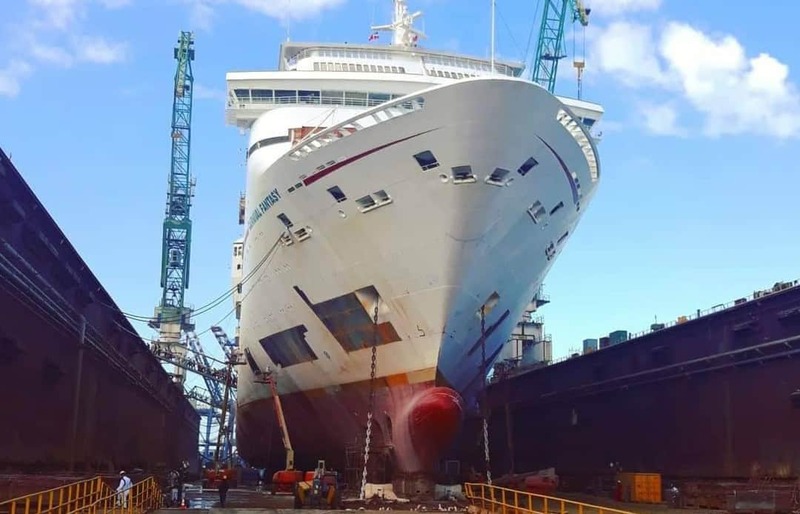 Carnival Fantasy went into dry dock on January 7 and during this period a lot of work is done including mechanical maintenance, a new coat of paint and many enhancements to the public spaces. The Fantasy-class vessel last had a dry dock refurbishment in 2016 which was when many of the FUN 2.0 features were added. The ship is the oldest in the fleet and over the past two years, there had been rumors of Carnival putting her up for sale. The ship which joined the fleet in 1990 is 70,370 gross tons with a guest capacity of over 2,000 at double occupancy.